What are you doing tonight at 10:00 PM EST? For most of us science and tech geeks, that’s a rhetorical question. 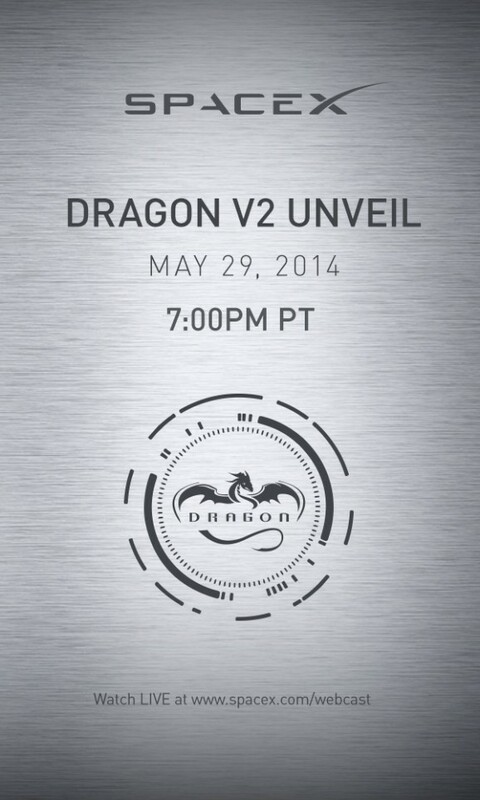 We’ll be gathered around our computers, watching SpaceX unveil the Dragon V2—the next generation of the Dragon Spacecraft. This iteration isn’t for shuttling cargo to the ISS, it’s for taking astronauts there, and beyond. As you probably know, President Obama announced his decision to end NASA’s space shuttle program Constellation back in 2010. Since then, the US has been paying to transport astronauts to the ISS aboard Russian Soyuz capsules. NASA designed the four-person Space Launch System, a heavy launch vehicle, to replace the retired shuttles. So I’ve just been waiting patiently for that to come to fruition, somehow unaware of the Dream Chaser spacecraft, a commercial spaceflight transport system that will be able to take a crew of seven astronauts to the ISS, despite being about 1/3rd the size of a conventional shuttle. The Dream Chaser will ride aboard an Atlas 5 rocket, which will propel the craft into low Earth orbit, potentially ferrying astronauts to the ISS. 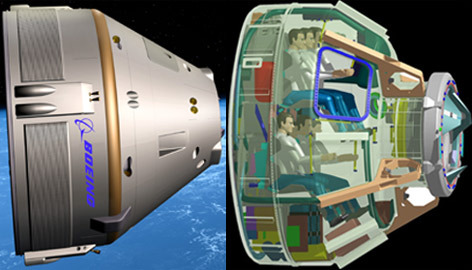 Service—or some kind of crewed mission—is expected to begin in 2017, with the first orbital crewless flight in late 2016. 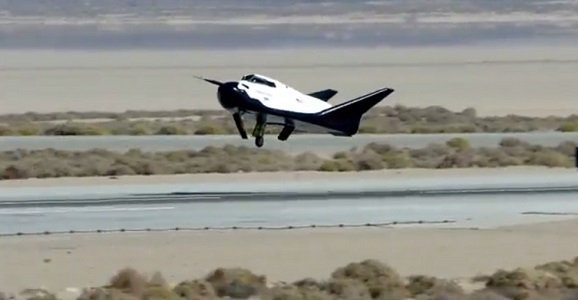 Dream Chaser’s first unmanned flight occurred in 2013, when it flew successfully but crashed due to a malfunction in its landing gear. Actually, the vehicle flipped over at the very end, coming to rest in an upright position, after which the malfunctioning left landing gear deployed. I like a spacecraft with a sense of humor. Despite the rocky ending, the flight was regarded as an overall success. For a while, it looked like mega-bazillionaire Richard Branson’s Virgin Galactic would be the first company to get privately funded spaceflight successfully into space with crews and passengers, but not even a recent successful test flight can whitewash the constant delays that Virgin has suffered. Elon Musk’s SpaceX appears it will be the frontrunner, geared up for a 2015 launch. But should they fall behind schedule, Sierra Nevada Company will gladly capitalize with their Dream Chaser spacecraft, which will fire off on an automated orbital flight on November 1, 2016. Unless, you know, it doesn’t. This decision to go forward with their flight plan comes just three months after a mostly successful prototype test flight ended with a “Whoops!” when part of the landing gear failed to deploy, sending the vehicle skidding off track. Really, that’s a pretty minimal problem, considering everything inside the plane itself remained intact, and all of the flight data was logged for the duration, which makes fixing the mistakes that much easier. And I guess the kinks are falling away with ease. Back in 2009, NASA began the Commercial Crew Program (CCP), designed to promote private sector development of human spaceflight. The eventual goal is to jumpstart a spaceflight industry capable of taking tourists and government astronauts into space. The program’s focus is on crew transportation system designs, an important first step in the development of a commercial industry which is predicted to deliver cheap, reliable, and more efficient transportation of space-going folks into Low-Earth Orbit. In 2012, NASA received proposals from companies committed to working on fully developed and integrated crew transportation systems. SpaceX, Boeing, and Sierra Nevada Corporation were among those that received funding after a NASA evaluation, and are now expected to meet 15 milestones on the way to realizing their privatized human spaceflight plans. SpaceX just reached, and passed, the eighth milestone—a review of its in-flight abort procedures. 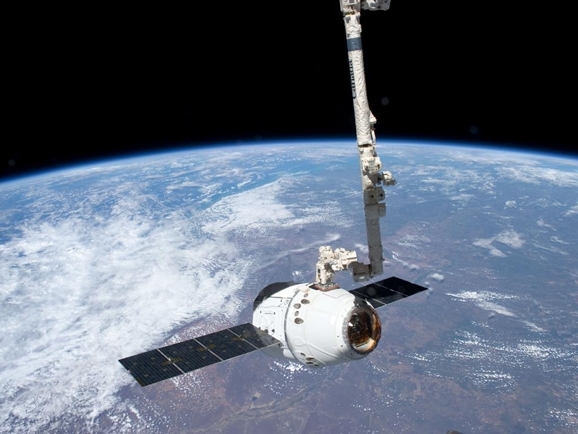 SpaceX’s Dragon spacecraft made its first manned test flight in December 2010, and a few years later became the first commercial vessel to dock with the ISS. Dragon is partially reusable, and will be sent into space by the Falcon 9 launch vehicle. The recent review focused on the craft’s SuperDraco engines, the software that controls the abort procedure, and the communication between the Dragon and the Falcon 9. 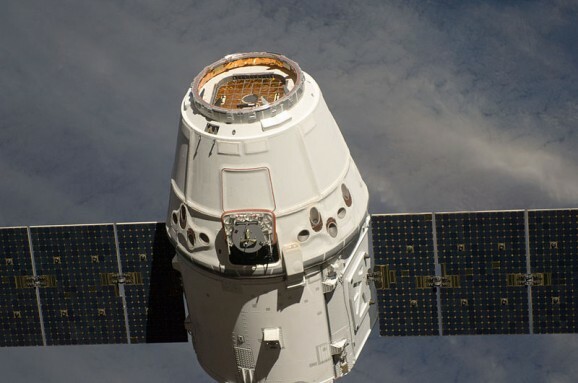 SpaceX’s Dragon spacecraft in the process of docking with the International Space Station.